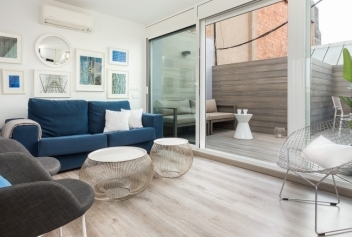 We offer the best selection of apartments in Barcelona, apartments for days and for stays of more than three weeks in the best areas of Barcelona. 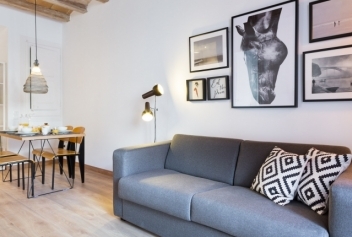 Accommodation in Barcelona for short and medium stays. 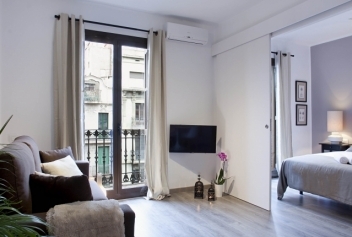 All of our Barcelona apartments are fully furnished and equipped with towels, sheets and fast internet connection. We also offer apartments with terraces and balconies. 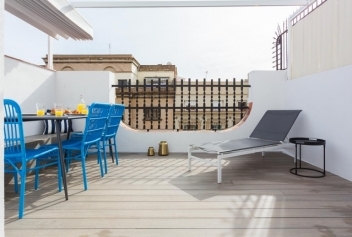 Advantages of renting an apartment in Barcelona. 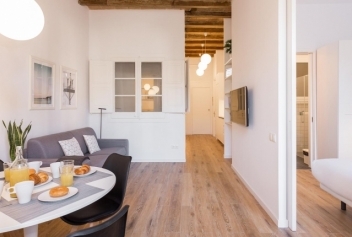 With one of our apartments in Barcelona you can enjoy much more than a simple hotel room due to their size, privacy, design, comfort and equipment. Coming to Barcelona with your family or friends? You’ll have privacy in our apartments. We offer cheap apartments in Barcelona for groups or familiies where the price per person is much cheaper than a traditional hotel. You’ll have much more freedom in terms of when you can sleep and eat, as well as more privacy and more space to relax; on a large sofa in the living room or in your own room with a balcony. You can also save yourself a lot of money by cooking in an equipped apartment rather than always having to eat out in restaurants. 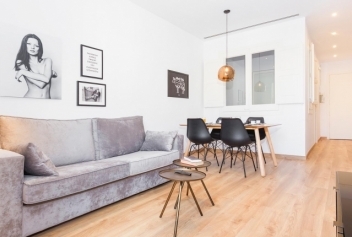 If you’re planning to rent an apartment in Barcelona for more than 3 weeks we have a wide range of medium-stay apartments. 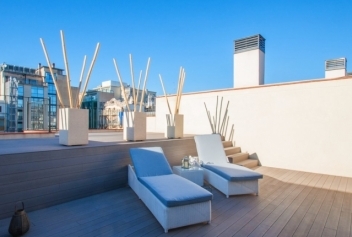 Unsure where to stay in Barcelona? Our interactive map will help you to discover the city's different neighbourhoods, from Eixample with its major landmarks and shops, to Barceloneta and its fantastic beaches, or the charming neighbourhood of Gracia.